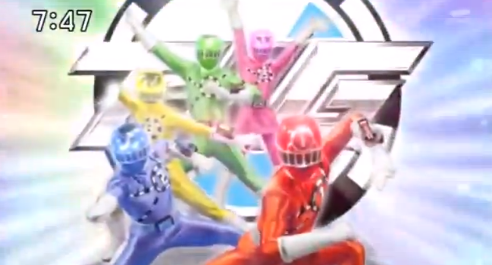 Ressha Sentai ToQGer episode 2 is entitled: We Are Here "Oretachi wa Koko ni Iru" (俺たちはここにいる). Here is a preview of this episode. The ToQgers arrive at a train station taken over by the Shadow Line which has been renamed "Kettougahara" (決闘ヶ原 Kettōgahara?, lit. "Dueling Fields") controled by the Shadow Line's Sabre Shadow who makes everyone duel. Right and the others do their hardest to protect a boy who is scared at what the Shadow Line has done to his neighborhood and figure out a way to end the Shadow Line's control.